Domestic and commercial Rubbish removal company based in Leeds, West Yorkshire, here to help clear all your unwanted items. From a single item through to multiple van loads. 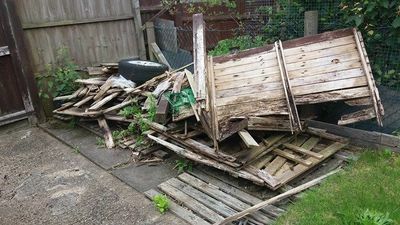 Welcome to R.C.L Rubbish Clearance Leeds, are you looking for a reliable rubbish removal or house clearance service in Leeds if so we are here to help with any inquiry you have. 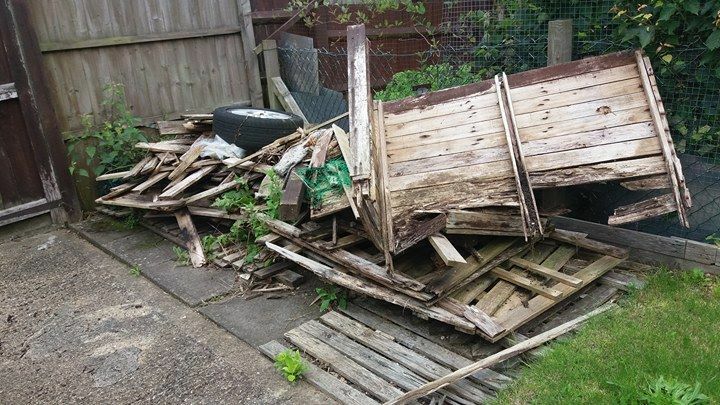 We are a Leeds based Environment agency approved and registered waste removal company here ready to serve you well. We Provide a professional, efficient and competitive, rubbish removal service in Leeds and the surrounding area's we also offer a bespoke house and office clearance service, we can do this for you, we are reliable skip hire alternative company and offer a prompt service if required. We offer a simple fixed quote, one call to quote then if happy with the quote, book a time and day that best suits your needs to clear. 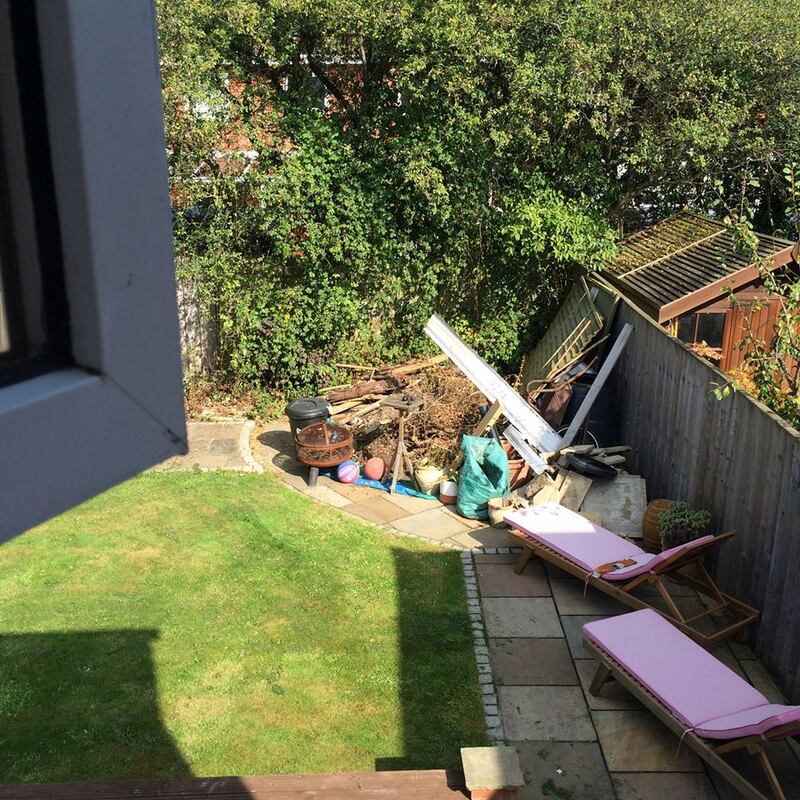 We have provided many rubbish removal services throughout Leeds over the year's and have many very satisfied customers, our client's can range from estate agents, housing association's, contractor's and the general public. All of our jobs are carried out by a one, two or three man team, after your unwanted items have been cleared we sweep the area up and pick up any litter left behind, leaving the area clean and tidy. 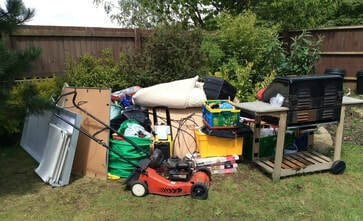 Area's we clear Shed, Garage, House, Garden, Land, Waste, Builders Waste. all out buildings, roof top's, shops, offices, and pretty much anywhere where there is rubbish to be removed at any location all of your items will be recycled in Leeds responsibly. We operate in a professional, polite manner at all time's and are usually or shall i say try our best to be on time, but as you may be aware, Leeds can be unpredictable regarding congestion, however if this occurs we always inform you in advance if we are running slightly late. Professional Environment agency registered waste removal company, here to help clear all your unwanted item's in Leeds. We tend to fill our garages with mainly unwanted items and junk this is were we can help if you want the space back we can help. We have cleared single to double type garages all over Leeds and can do the same for you upon request. All green waste cleared from branches bushes to the garden shed itself, what ever unwanted items you have in your gardens we can clear. We have the man power to undertake small single item clearances through to a large home or business premises were need's must, we are here to help and clear all your unwanted items. 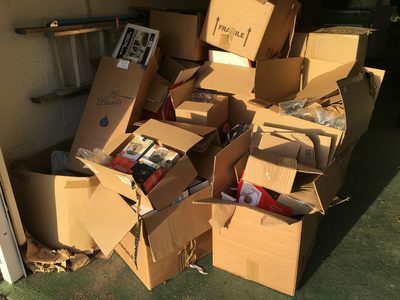 Local house clearance service, in most cases we will meet you at your property to asses and quote accordingly in some cases we can reduce the costs dependent on reusable items. We also provide a full professional office clearance service in Leeds,​ all business premises cleared. One of our most requested items to be removed in Leeds are sofas as we clear hundreds every year due to an upgraded sofa suite. We will do all the lifting and shifting. We quite often clear old beds and Mattresses in Leeds but do recommend keeping in a dry place before contacting us as usually when left outside and the get soaked by rain they almost triple in weight. You have no worries using R.C.L as we are registered to undertake clearances legally. We provide a simple service, simply email, text or call for a fixed quote, then just let us no when its convenient for us to come round to clear all your unwanted item's, a date and time. We would prefer if you could send us photo of your unwanted items if possible from your mobile phone to ours, or upload a picture in our online quote form. We can then get an idea of what needs clearing and should be able to quote based on the photo, or we may come to your property to take a look and provide a no obligation quote, if happy with the price we usually can clear there and then.